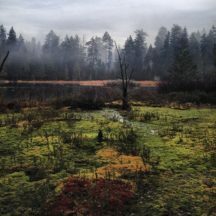 EcoStewards – Bog Restoration 9:30 a.m. – 12:30 p.m. This month, as part of three EcoStewards restoration events, we will continue to ensure the ecological integrity of the restored bog by removing invasive non-bog species and planting native bog species. Volunteers must enjoy working outdoors and be prepared to perform physical work in all weather conditions. Due to limited space at the bog, registration is limited to 6 volunteers per event. To register or for more information, please contact the Conservation Technician at 604-718-6547, technician@stanleyparkecology.ca, or use the form below. Advanced registration is required as participant spaces are limited to 6 volunteers.